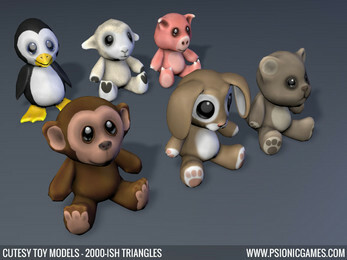 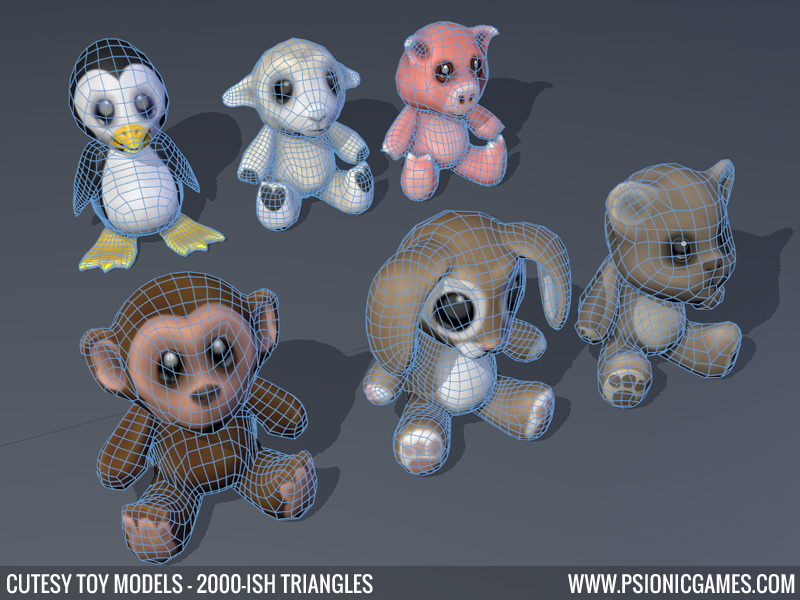 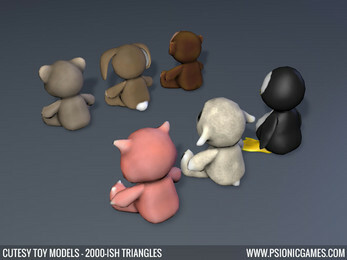 6 x Cutesey 3D Animal Models. OBJ & FBX format + Color & Normal maps in JPG format all Zipped up. 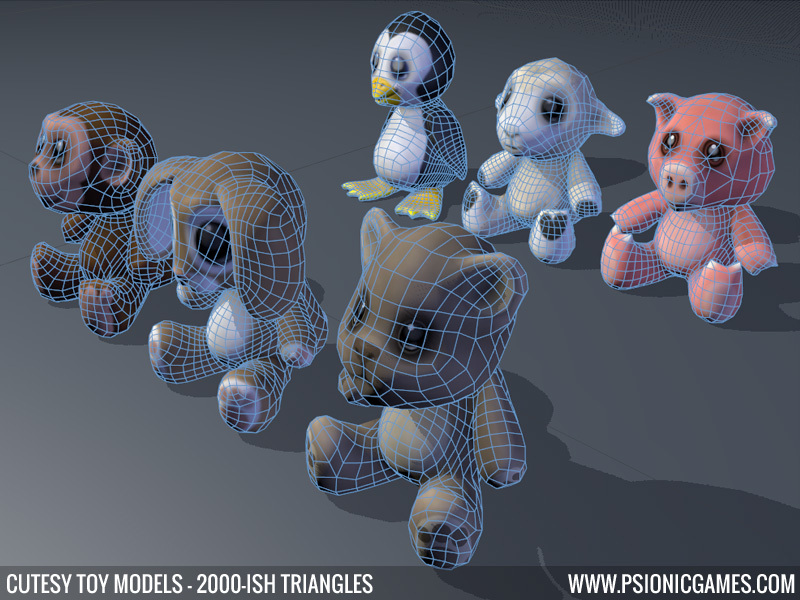 Each animal is around 2000 triangles & textures are 1024x1024 pixels. 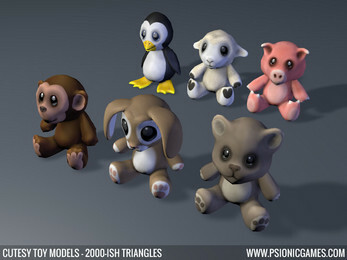 No animations or anything just plain old 3D models & textures. 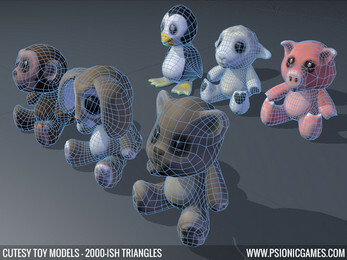 Click on the screenshots to the right to see them in more detail. Nice collection .. in T POSE please thanks..